Apple has removed an Arabic ‘intifada’ app from its iTunes store in response to a complaint from the Israeli government. The Israeli Public Diplomacy Minister Yuli-Yoel Edelstein wrote to Steve Jobs expressing concerns that the app, ThirdIntifada, accessed content that, he alleged, incites violence against Israel, Reuters reports. 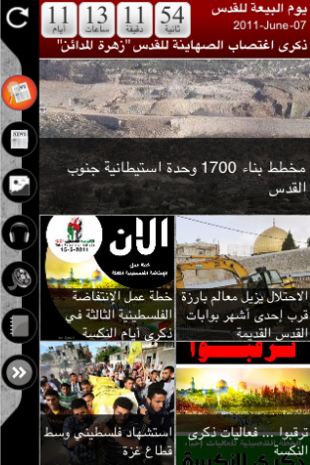 The app tracks content from 3rdintifada.com, a Palestinian website that reports strong opinions and related activities concerning the issues in that region. It's all in Arabic, but this Google translated page conveys the flavour of its content. Today, the Thirdintifada app is missing in action, for reasons an Apple spokesman explained yesterday: “We removed this app from the App Store because it violates the developer guidelines by being offensive to large groups of people,” according to the New York Times.